A Vogue wedding is a thing of beauty, and the eye candy is credited in large part to the stunning gowns at the center of each event. Our “research” of the festive occasions shows that one classic designer in particular is responsible for many of the aforementioned gowns. Oscar de la Renta, who dressed everyone from Amal Clooney to Kate Bosworth to Allison Williams for their special day, now has Peter Copping at the helm, and the designer presented his breathtaking S/S 17 bridal collection last week. 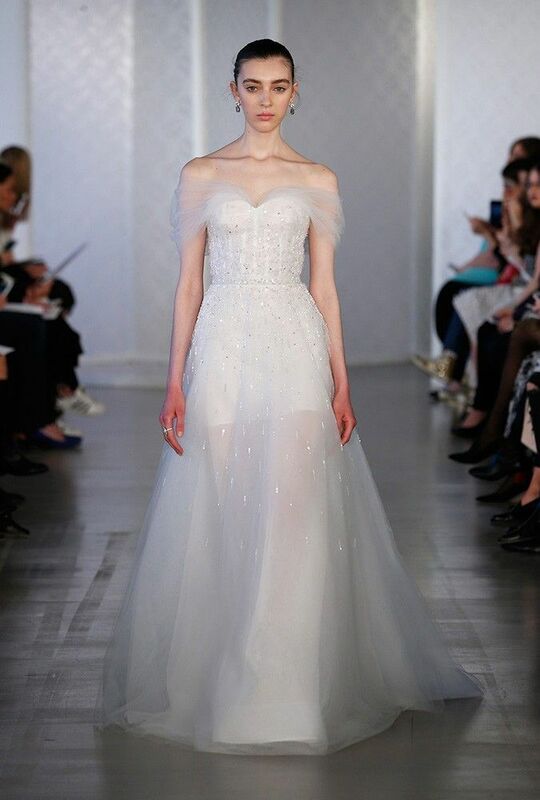 You can rest assured that many Vogue brides-to-be are already placing special orders for these gowns. Keep scrolling to see some of our favourites from the collection, and head over to Oscar de la Renta to shop what's new now. A girl can always dream of Oscar, whether she's getting married or not. So shop the brand's new collection, why don't you?